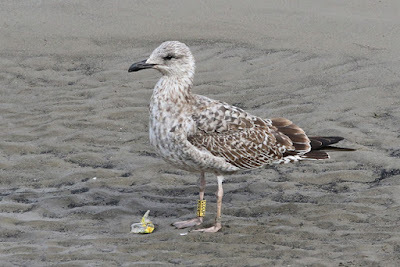 Rotherhithe & Beyond: London's juvenile Yellow-legged Gulls - do a lot of them actually winter here? London's juvenile Yellow-legged Gulls - do a lot of them actually winter here? 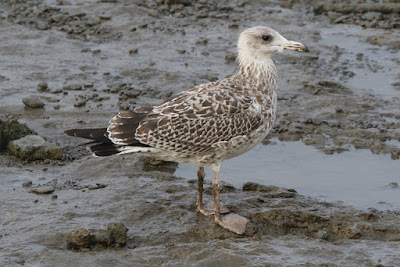 Been seeing a lot of gulls since the last post and will try to catch up on them - a trip to Portugal produced over 60 different rings, two American Herring Gulls, a Caspian and a Glaucous Gull while within 3 miles of my Central London home Caspian Gulls have been rather regular which has been pleasant enough. First seen on 31st August and 1st September at the O2 by Jamie P and I, and then Dante and I saw a Yellow-legged Gull at Lyle Park on 2nd January which had a yellow ring. And then Dante saw it well at the O2 a couple of days ago on 4th January with photos here. I first saw this bird on 17th August 2016 on the foreshore by the O2 at Greenwich, and Jamie P saw it either that same day or the day after. It was seen the next week and then has been seen sporadically either near the O2 or east of there at Thames Barrier Park as recently as 23rd December 2016. 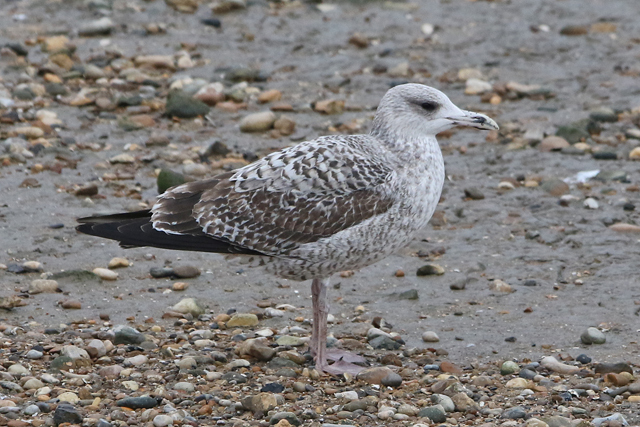 Up to you which of the above you think is most likely, but get a decent gathering of large gulls on the Thames east of Central London midwinter and I'd be pretty sure you'd find a Yellow-legged Gull in among them after a bit of searching.